Badlands Equine. 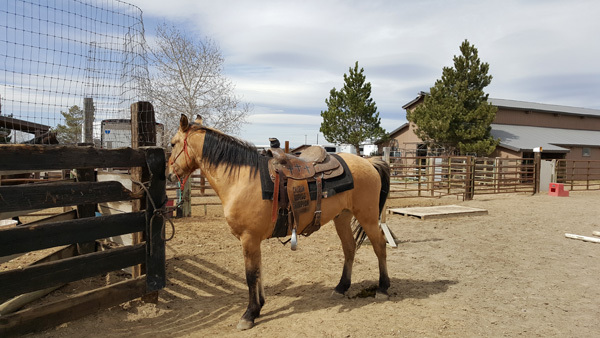 Brave - 4yo Kiger gelding - SOLD! 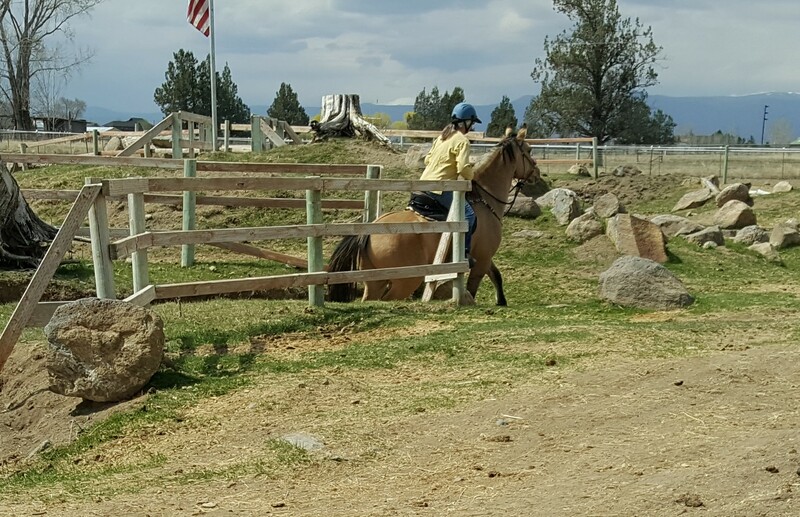 Brave is a 4yo dun Kiger gelding (papered) gathered in 2015. I adopted him as a yearling and he was super willing - we had a halter on him in 3 days. 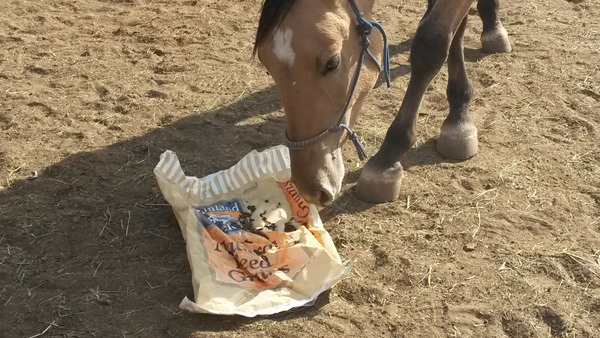 He's very friendly, loves to play with other horses and has shown lots of interest in going out on the trail and leading. 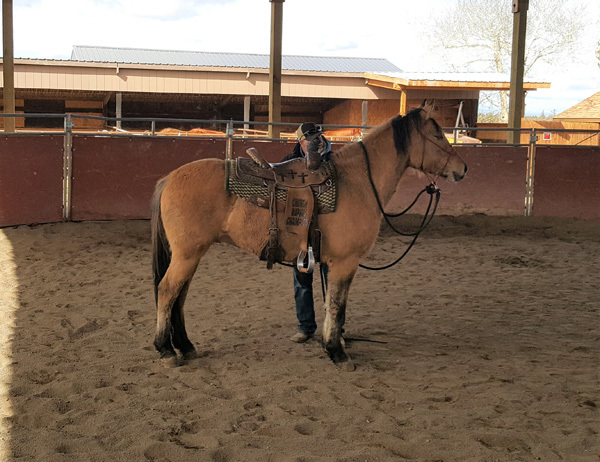 He had 90 days of training early spring, so got lots of despooking and ground basics as well as riding over obstacles, around cows, and just nice steady moving. 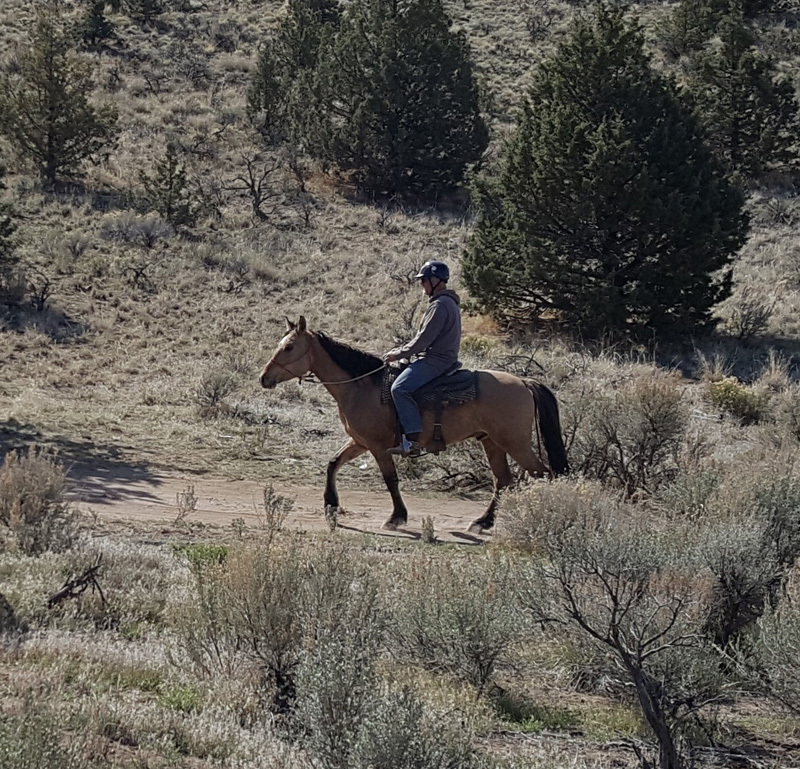 He's been out on the trail and is great with complicated footing, he goes in whatever gait asked and moves steady without pulling. So far little spooks are just a slow down to look at something different. 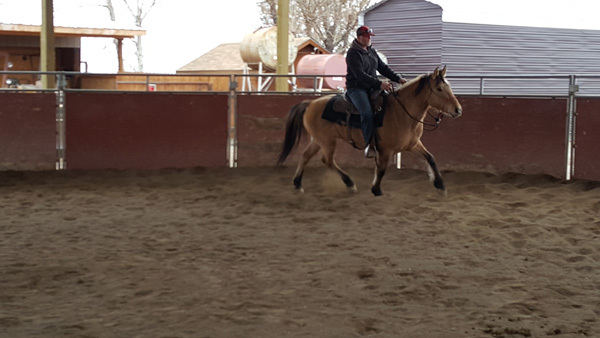 The only reason I'm selling is because we have too many horses for our available space and really need to focus on some others for their endurance season and this is an important time for Brave to have consistent work. I think he'll make someone an exceptional trail horse, certainly a possibility for 25 mile endurance rides, beyond that, who knows! 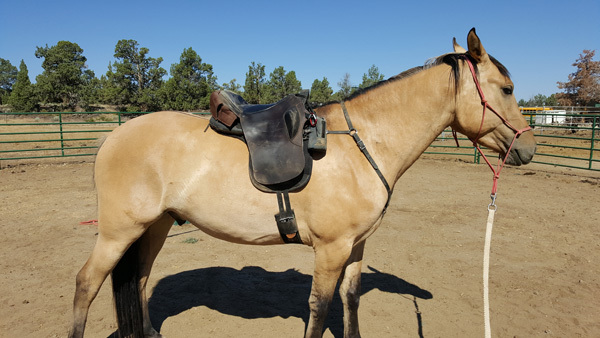 I will continue riding him and showing him the world until the right person comes along although price will go up if I get him ready for an LD. He's been out on the trail alone now too. 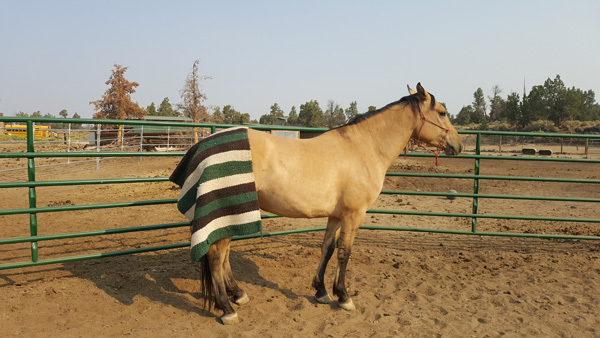 Here are the pics I took of him as a yearling to get his registration, he's registered with the Kiger Horse Association & Registry # T-0817-SKD, DNA test shows 100% Kiger. His freezebrand # is 14022950.